If your team works on a lot of projects, it can be difficult to keep track of them all in the Hive action panel. Even worse, having too many project tabs open at once can be distracting. 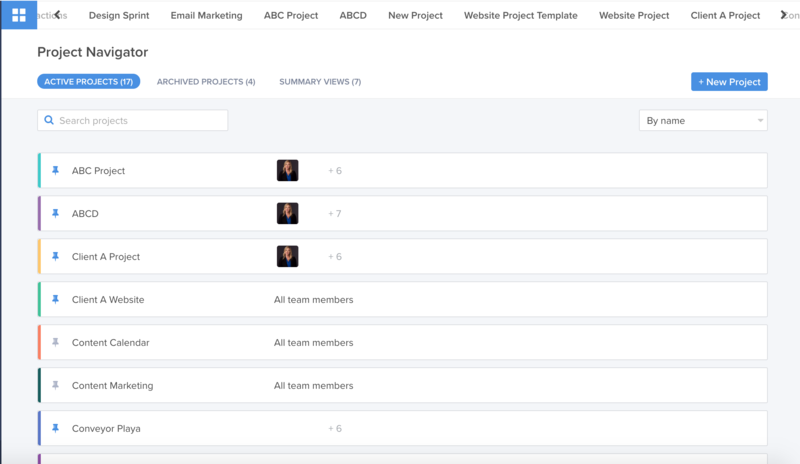 Project Navigator makes it easier to manage all the different projects and views you're working on. 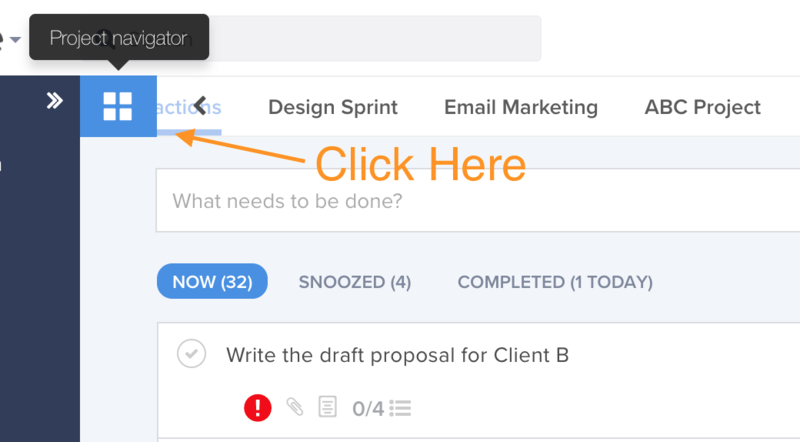 To access the Project Navigator, click the four square button in the upper right corner of the action panel. It will open a new panel that shows a list of all the views and project in your Hive workspace. You can see the name of each project and the team members involved. You can also filter your projects by created date or name or search for projects in the search bar. When you have many projects, it's important to be able to control what projects you see. That way your view doesn't get too crowded. You can control this in project navigator using pins. Next to each project is a little pin. When you activate it, it puts your project on the top of your project list. Click it again, and it hides it from view. If you click one of the projects, it closes project navigator and opens up directly to the project.